Welcome to the Copper Country's finest general store! Starting June 1, our store hours will be Thursdau through Saturday, 9-5. We have a large variety of bulk foods including specialty flours, spices, sugars, oats, bran, barley, nuts, beans, rice, wild rice, vegan and vegetarian supplies, Wisconsin cheese. You can find outstanding deals in our discount grocery section. We have animal feeds including pet food, livestock feed and hay, poultry feed and wild bird seed. As a local dealer for Tarter Farm and Ranch equipment, we keep a supply of corral panels, gates, water tubs and hay feeders on hand. If you need other farm equipment, we can special order for you. 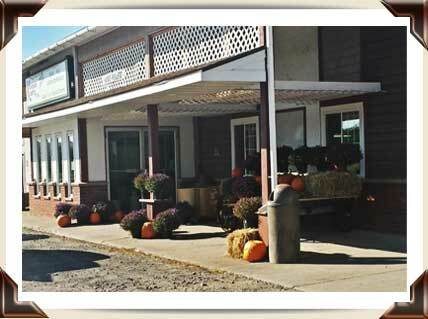 Keweenaw Kountry Store is here for your seasonal needs. We stock hard and softwood pellets for pellet stoves as well as hardwood firewood in autumn and winter. Our spring offerings include seeds and starts. During summer and early autumn we special order produce, including pears, peaches, apples and grapes. Hardier produce such as corn and pumpkins are often on hand when in season. In autumn, we stock deer feed and blocks as well has hard and soft wood pellets. Check our seasonal announcements page for updates. Come on in and see us... we look forward to serving you!